Want to do something cool with the kids this autumn and need a few suggestions? Sometimes, a major challenge with fatherhood is just keeping your kids entertained – and having some fun yourself. 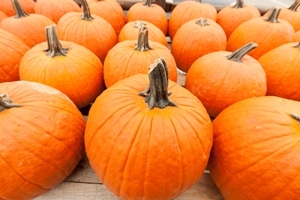 Rather than sit at home in front of the TV, consider these fall activities. Even if your little ones don't care too much about the playoffs or who's headed to the World Series this year, just about any kid loves the batting cages. Pick a nice slow pitch and help your tyke aim for the bleachers! Too chilly out for the batting cages? Head to the local bowling alley for a few rounds and a pizza. If your kids have trouble with the heavy balls, try duckpin or bumper bowling instead. 3. Pick some pumpkins – or apples! It's harvest season – the perfect time to go out and visit the pumpkin patch. You'll want a few pumpkins to make jack-o-lanterns later this month in time for Halloween. Already stocked with pumpkins at home? Head to your local orchard and pick a bushel of apples while you enjoy some cider. Host a Halloween-themed movie night! Just remember to keep it light on the actual scares. Flicks like "Frankenweenie" are great for youngsters. Older kids can graduate to classics like "Ghostbusters" or "Gremlins."